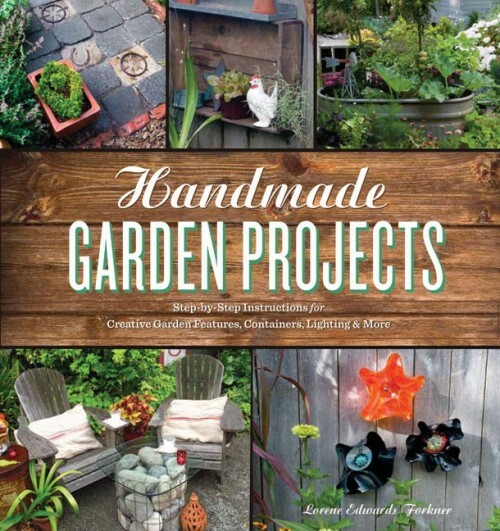 There’s a new garden book out that I'd love to get by Seattle-based freelance garden writer, author, blogger, Lorene Edwards Forkner called Handmade Garden Projects (Timber Press). By reading a review by local garden blogger, Andrea Bellamy of Heavy Petal (such a great name for a garden blog), it looks like the perfect book for the DIY’er (especially one who enjoys gardening). It inspired me to look for a few handmade garden projects for a post today over at Babble. Click here to see if you're interested. New IKEA Hacks for Summer! That looks like a great book. How love all the flora in Seattle.